Arrgh, Mateys! Give your cat a little “catitude.” Hot pink collar with skull motif. Arrgh, Mateys! 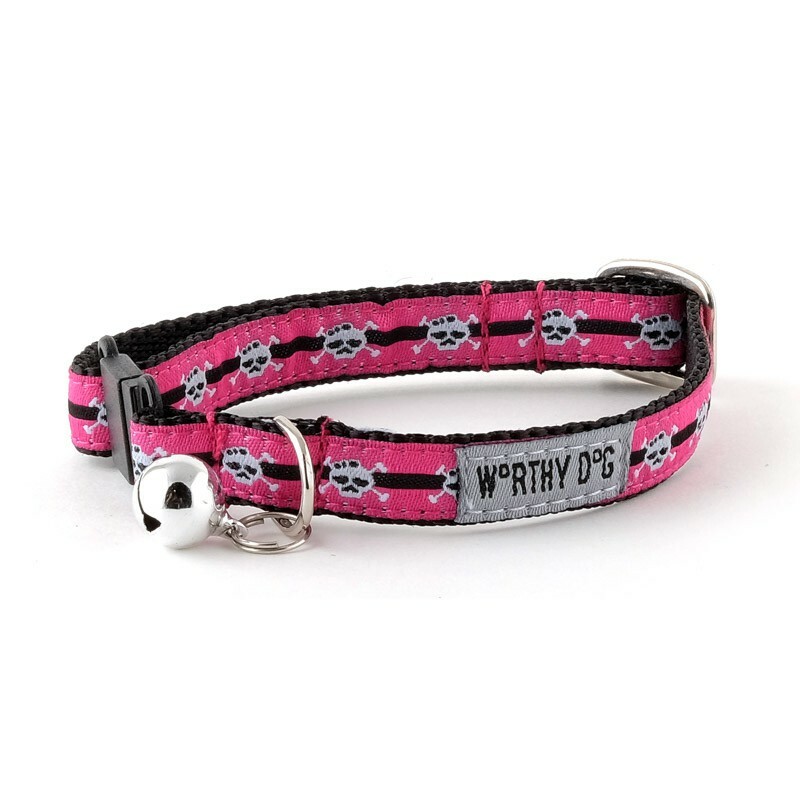 Give your cat a little “catitude.” Hot pink pirate skull cat collar. 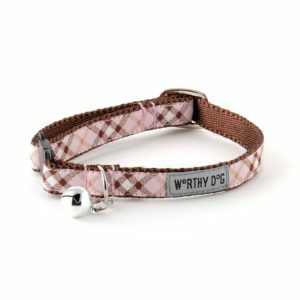 Made with quality fabric securely sewn onto durable nylon webbing. Snap clasp and nickel-plated D-ring offer convenience and a safe, secure fit. Bell is easily removed, if desired.